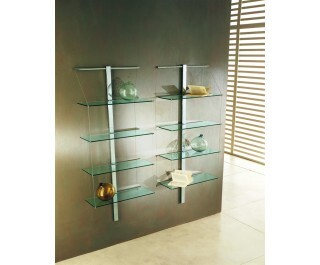 Etagère with float transparent or extraclear crystal glass shelves (thickness mm 10) and stainless steel frame. Strallo’s available in two sizes (cm. 57 and 85).